Russian-backed social media accounts conducted a widespread effort to target African-Americans, Latinos, and devout Christians to aid the Trump presidential campaign, according to recently released report. The Computational Propaganda Research Project released a major analysis on Monday titled “The IRA, Social Media and Political Polarization in the United States, 2012-2018” that detailed the actions of Russia’s Internet Research Agency. According to the report, which was made for the Senate Select Committee on Intelligence, from 2013 to 2018, the IRA’s social media content was seen by tens of millions of people in the United States on Facebook, Twitter, and Instagram. Between 2015 and 2017, more than 30 million American users of various political backgrounds shared content from Facebook and Instagram accounts created by the IRA. The largest IRA page, “Being Patriotic,” had over 6.4 million likes and more than 4.4 million shares. “Army of Jesus,” an IRA targeting Christians, was the 6th largest with about 2.3 million likes and over 650,000 shares. The report found that the IRA’s not only promoted Trump, but also sought to discourage LGBT individuals and African Americans from voting for Hillary Clinton and instead told them to vote for third-party candidate Jill Stein. “Content referred to President [Bill] Clinton’s  signing into law of the Defense of Marriage Act (DOMA) as an attack on the gay community, and in another, argued that Hillary supports Muslims, who the post insinuates are anti-gay,” explained the report. Since the election of Donald Trump, there have been many revelations about the interference of Russia-backed Internet trolls and social media accounts who supported Trump. In 2017, Congress released approximately 3,000 ads promoted by Russian social media accounts that served to polarize the American public with inflammatory imagery and captions. 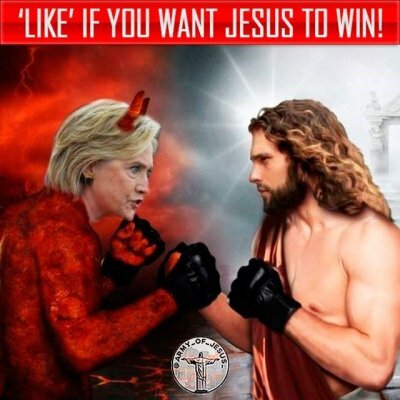 One of the headline-grabbing memes from the “Army of Jesus” IRA account showed a demonic Hillary about to do battle with Jesus Christ, with the caption "'Like' if you want Jesus to win.'" "Army of Jesus" started late in 2016, just before the election, the report noted. Another post by the "Army of Jesus" group showed Satan arm-wrestling Christ, with the former declaring "If I win Clinton wins!" and the latter replying, "Not if I can help it!" The report found, however, that most of the "Army of Jesus" posts had positive messages, and the page only grew in popularity after the election. "These posts are rather different to others that targeted conservatives and right-wing users. Instead of negative messaging about immigrants and antagonism towards liberals, these messages involved a more conciliatory discourse centered on Christianity as a means to heal the divides that crystallized in the US by the end of 2016. These posts encouraged users to put less faith in politics and instead be faithful to God: 'America is in trouble and the solution is not in the politics, not the Democratic Party or the Republican Party. The only hope for this nation is God…Like if you agree! '(Army of Jesus, 6 November 2016)," the report stated. 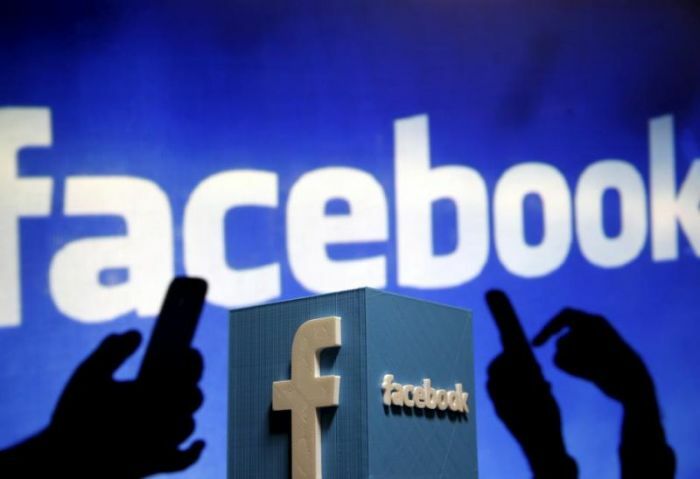 Although the accounts in question have now all been shut down, Facebook, Twitter, and Google officials have all testified before Congress regarding the Russian interference. Sen. Dianne Feinstein (D-Calif.), member of the SSCI, said in a statement last year that the revelations about the ads heralded "cataclysmic change." "What we're talking about is a cataclysmic change. What we're talking about is the beginning of cyberwarfare," stated Feinstein.